Please note: Price is for Dolly only. Trays (as shown in the photos) are available seperately. 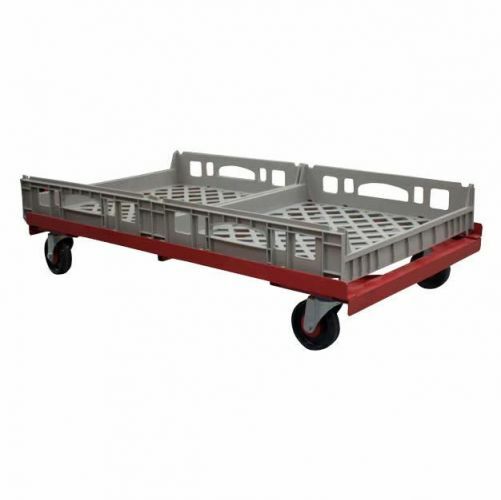 These wide dollies allow for up to two sets of crates to be stacked side-by-side, for the secure transport of large quantities of baked goods.